Do you know what is in your chicken nuggets? Thanks to Barack Obama, that is going to be a more important question than ever. At the end of August, the Obama administration quietly decided to start allowing Chinese poultry processors to ship processed chicken into the United States. For now, the meat must originate either in the United States or in another country where the poultry population has been certified to be safe. What that means is that chickens from the United States will be shipped all the way over to China, processed in plants over there, and then shipped back across the Pacific Ocean for us to eat. Only a limited number of companies are expected to take advantage of this, but according to U.S. 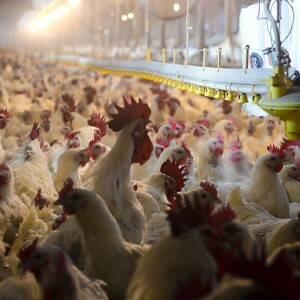 Senator Charles Schumer, a USDA report that Congress has seen indicates that China will likely be allowed to directly import their own chickens into this country “within a year“. What makes all of this even more disturbing is that a country-of-origin label will not be required on any of the chicken that is processed in China. So in the years ahead you could be eating chicken processed in China and not even know it. It shouldn’t take too much imagination to figure out what is going to happen. This is a movie that we have seen too many times before. Over the past decade, tens of thousands of U.S. businesses and millions of good paying jobs have been lost due to “competition” from communist China. Barack Obama continues to talk a good game about how he wants to “create jobs” for American workers, but just about everything that he actually does kills even more of our jobs. This was a recent decision made by President Barack Obama to address a decade-long trade dispute. Since 2003, China has refused to import U.S. beef, citing concerns over mad-cow disease, so we’re effectively trading chickens for beef in this quid-pro-quo political scenario. Obama has been widely criticized over this move. Well, for starters Chinese-processed chicken will be allowed to skip the ‘Product of China’ label in several instances because the country of origin labeling law, or “COOL,” does not regulate cooked meat – and at least for now, the U.S. does not import raw chicken raised and/or slaughtered in China. In light of all of these incidents, shouldn’t U.S. consumers be able to clearly identify chicken that is coming from China? And most Americans don’t realize this, but China already sends 4 billion pounds of food to the United States every year. So why don’t we just go ahead and get it all over with and just send all of our jobs over to China right now? Let’s just go ahead and ship the rest of our good paying jobs over there and be done with it. Then we can all cut hair, flip burgers and stock shelves at Wal-Mart. According to a brand new Bloomberg National Poll, 64 percent of all Americans believe that “the U.S. no longer offers everyone an equal chance to get ahead”, and according to a different national survey that was recently conducted 68 percent of all Americans believe that the country is currently on the wrong track. Personally, I am extremely concerned about this upcoming two year time period. The conditions for a “perfect storm” are all coming together for 2014 and 2015. I believe that this nation (and the world) will look far different two years from now than it does today.